Intergroup – March 2013 – Lincoln Nebraska A.A. 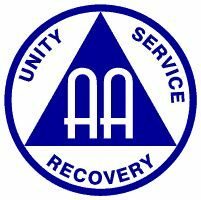 The AA Traditions were read by: Ron R.
– Someone from the district did mention that one of the groups is thinking about doing a workshop on the Living Sober book for ladies. Still discussing attending other meetings to discuss Central Office and its role in the community. **Discussion: Area CPC has been working with Area Treatment on handling the VA requests for volunteers. It’s being worked on nationwide. If anyone has questions, contact Bernice S.
City/County Jail: Joe G. Two volunteers have filled out applications to begin volunteer work at downtown jail. They will accompany Joe into facility when they are cleared. CCCL: Tom E. In house 12×12 goes well. Although some long-time members have been released, some new folks have taken their place. Tom has a book request (see new business). New Business: Tome requests 5 hardback Big Books and 4 paperback 12x12s for CCCL . Motion made and approved. Two AA members showed up at the meeting requesting information on how to get started on volunteer work in local correctional centers. One was interested in state facilities, the other in city/county. They were given the appropriate applications and contact information. City/County Jail: Joe G. Due to work conflict, Joe will not be able to go to downtown jail until May. He will turn in applications of new volunteers and hopefully they will be cleared in time to accompany him when he resumes his meetings. CCCL: Tom E. Men’s in house 12×12 meeting continues to go well. Just finished discussing step 12 and will start over with step 1. D & E: Bill O. Monday & Wednesday meetings are going well. They are looking for volunteer help at the Monday meeting. Contact Bill if interested. RTC: Bill O. Saturday night meeting is going well, attendance is up. Old Business: One of volunteers who attend last month has submitted an application to CCCL and is awaiting clearance. The plan is he will accompany Tom & Joe on Tuesday nights. Thank you to all the guests for joining us!! Amanda is stepping down from chairing PICPC. Jessi H & Kjerstin E are both willing to chair. Got 4 out of 10 responses via email. Changed to the 2nd Wednesday of the month, due to some conflicts on the 1st. Suggestions: say keep comments til the end? 1 person will take a guest, guest does the next meeting and brings another guest, and so on. Kjerstin will check about this and get the information so it can be checked. Jessi will contact Jeff about getting the additional literature mentioned above. 2 people are now co-chairing the committee – Terry W. & Kemper W.
Meeting minutes for each district and Central Office Bulletin have been posted to the site. If you have flyers or attachments to post online, please fill out the Contact Webmaster form on LincAA.org with your contact information. Webmaster will provide you with email address to send information to. Central Office minutes the same month? Make amendments the next month, if there are any. District 29: Brought concern – they don’t know what is being done with the money they have given to Intergroup. Total being reported in minutes is deceptive. 60 Minutes also wants to know how money was spent in 2012. Groups seem to be upset because they don’t know where the money is going. Question: are groups looking at minutes online? Solution: Report how much each committee has for a balance each month. Motion passes. Will try for this month and see what groups say. Spiritual Actions asked about past item brought up – why does Intergroup not try quarterly meetings??? Found the item in past minutes and explained what was said last time. Meeting closed at 7:33 p.m. and we all gathered for the Serenity Prayer. The next meeting is Friday, April 27, @ 6:30 p.m. @ Willard Community Center-1245 S. Folsom St.